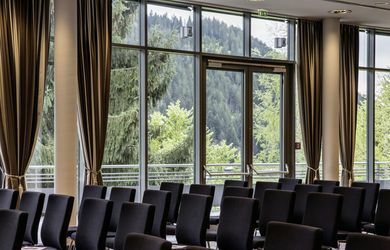 The Kitzhof Mountain Design Resort as a conference venue offers 10 conference rooms on 490sqm, 250 people in the largest room. 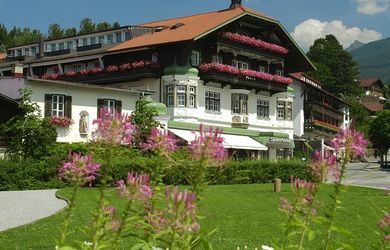 The confernece hotel has 170 rooms and is located in Kitzbuehel/Tyrol. The Interalpen-Hotel Tyrol offers 11 conference rooms totaling 1500m ², for 400 people in the largest room. 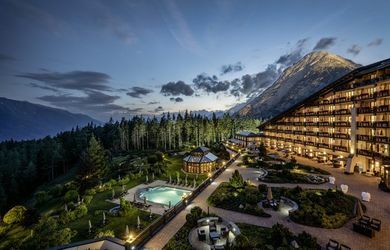 The conference hotel has 282 rooms and is located in Buchen at Seefeld in Tirol. From Innsbruck the conference hotel is about 35km and 500km away from Vienna. 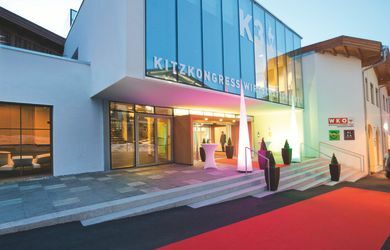 The Event & Conference Venues at Congress Kufstein (Tirol) offers 14 meeting rooms totaling 2.330m² | 700 people in the largest room. The event venue is located in Kufstein / Tyrol. The Krumers Alpin as a conference venue has 5 meeting rooms on altogether 365sqm, up to 150 people in the largest room. 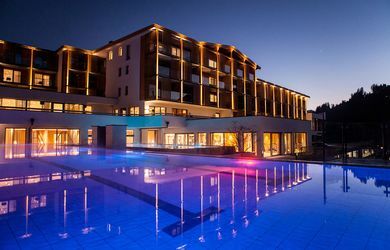 The conference hotel has 125 rooms and is located in Seefeld. The Hotel Schloss Lebenberg has 5 conference rooms totaling 420m ², 210 people in the largest room. 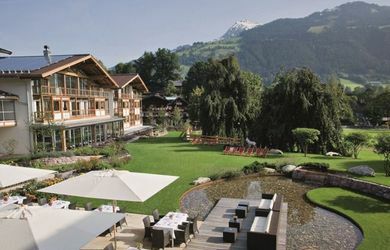 The conference hotel has 150 rooms and is located in Kitzbuehel, Tyrol. The Hotel Klosterbräu, as a conference hotel, has 2 conference rooms, altogether 220qm, for 180 people in the largest room. 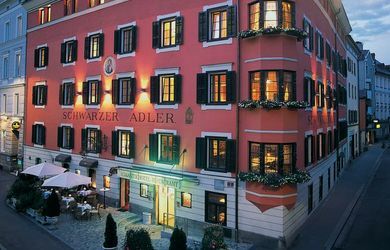 The hotel has 89 rooms and is located in Seefeld in Tyrol. The Parkhotel Hall, as a conference hotel, offers 5 conference rooms, for 170 people in the largest room. 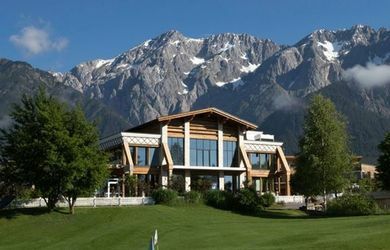 The conference venue has 57 rooms and is situated in Hall, 7km away from Innsbruck. The Sporthotel IGLS in Inssbruck as a conference hotel, offers 3 conference rooms, altogether 180qm, for 80 people in the largest room. 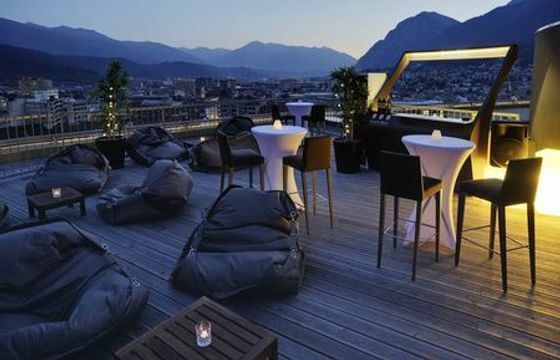 The conference venue has 72 rooms and is situated 5km from the state capital Innsbruck. 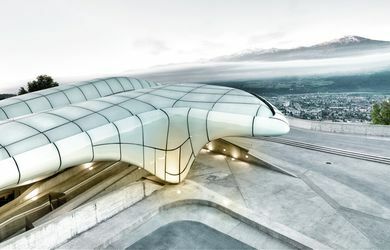 The event venue Swarovski Crystal Worlds offers 8 function rooms on a total of 2000m² / 800 people in the largest room. 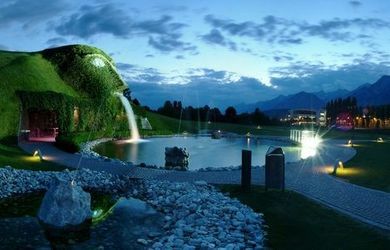 The event venue is located in Wattens/Tyrol. The Hotel Kaiserblick has 2 conference rooms, altogether 96qm, for 80 people in the largest room. The venue has 100 rooms and is situated in Ellmau. The conference hotel "das Central" as a conference venue has 4 meeting rooms on altogether 224sqm, up to 150 people in the largest room. 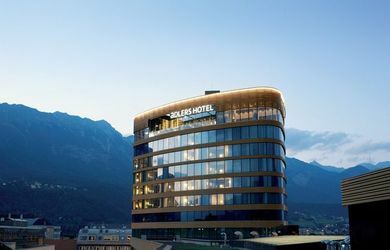 The conference hotel has 125 rooms and is located in Soelden/Tyrol. 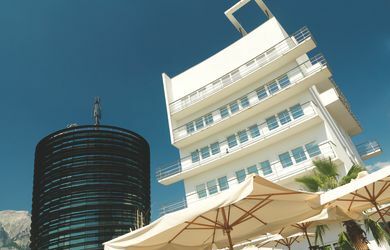 The Rasmushof has 5 meeting rooms to a total of 500m² for 380 people in the largest room. 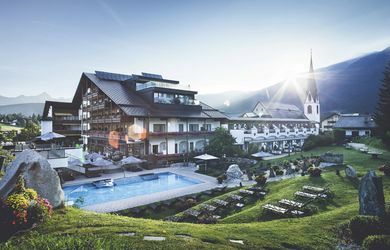 The conference hotel has 49 rooms and is located in Kitzbühel in Tyrol. The Alprenresort Schwarzs, offers 3 conference rooms, altogether 240m ², for 168 people in the largest room. It has 150 rooms and is situated in Obermieming. 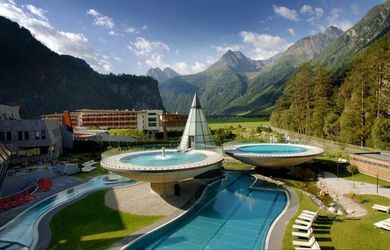 The AQUA DOME - Tirol Therme Laengenfeld as a conference hotel offers 12 conference rooms on a total of 900m² for 400 people in the largest room. 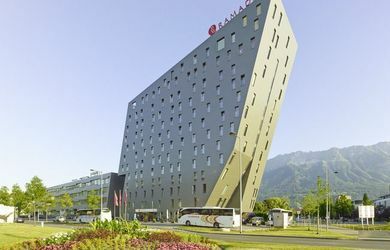 The conference hotel has 200 rooms and is located in Laengenfeld / Tyrol. 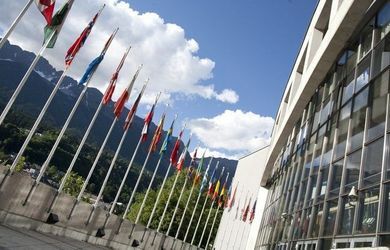 The Event & Conference venue congresspark Igls offers 3 conference rooms totaling 900m ² / 305 people in the largest room. 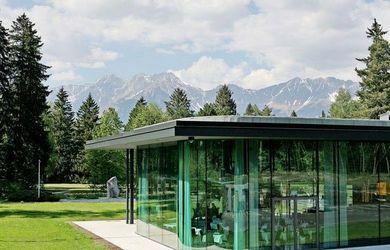 The Event & Conference venue is located in Igls / Tyrol. The ice Q as conference & event venue offers 1 convention room to a total of 80sqm, for 40 people in the largest room. The ice Q is in the heart of the Alps in Sölden / Tyrol.